Visit the Provencal hinterland. 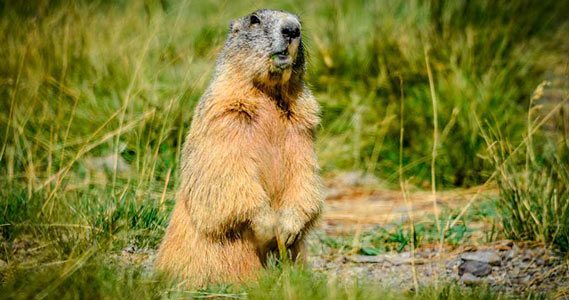 Visit the Valley of Ubaye, the most beautiful valley of the Southern Alps, located near the national park of Mercantour and the gorges of the Verdon. Top this with an exceptional natural setting, an outdoor hotel located at the foot of the mountains and a river for water sports. Has the postcard seduced you? 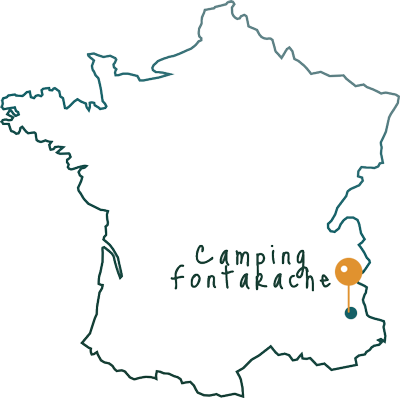 Welcome to Fontarache campsite, in a peaceful town (Les Thuiles) of the canton of Barcelonnette. Are you a fan of traditional camping or a camper looking for comfort and luxury? In order to meet the needs of all our guests, we offer camping pitches and fully equipped luxury accommodation rentals (mobile homes, chalets). Our shaded and spacious pitches (100 m2), are also suitable for motorhomes. If you want to stay with your family in a modern and luxurious holiday home while enjoying the joys of camping, choose among our mobile home and chalet rentals. 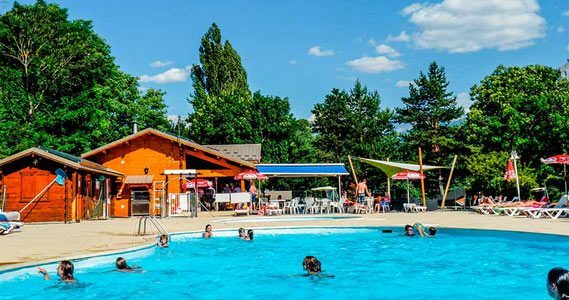 To make your stay even more enjoyable, the campsite offers an aquatic area with a heated swimming pool and a paddling pool, a tennis court, petanque playing area, a playground for children and a snack bar. We also organize entertainment for both children and adults. Sport, nature, relaxation, friendly atmosphere: share the values of Fontarache campsite during your stay as a family, with friends or as a couple. Are you looking for luxury accommodation to rent for a weekend or a week in the Alpes-de-Haute-Provence in the vicinity of Allos and Barcelonnette? Fontarache Campsite offers magnificent, fully equipped mobile homes of modern design which can accommodate up to 6 people. Our high-end rentals are ideal for couples, groups of friends and families who want the comfort of a home, the privacy of a hotel and the conviviality of a campsite while not going over their budget. 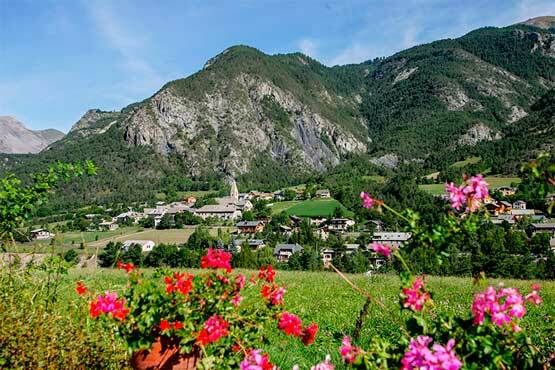 With a winter sports station and a charming village traversed by the Verdon, Allos compasses a beautiful heritage. Take the time to visit the Church of San Sebastián, Notre-Dame-de-Valvert and St. Peter’s Chapel. The commune also includes several picturesque hamlets: Foux, Foux d’Allos, Seignus Haut, Le Bruisset, Villard Bas and Haut, Beaumelle, Beaume, Brec Bas and Haut, Sainte-Brigitte Basse and Haute, le Foreston, Bouchiers, la Peyrière Basse and Haute, Prémin, Montgros, Champrichard, Collet… Barcelonnette, the largest municipality of the Ubaye Valley, houses a museum on the history of the Valley, an amazing Mexican villa, a Clock Tower (Cardinalis Tower) and a beautiful church (Church of Saint-Pons). Located at the entrance to the Mercantour national park Le Fontarache is one of the most beautiful campsites with heated pool in the Provencal hinterland. Lac d’Allos and La Vallée des Merveilles, two jewels of this fabulous protected natural territory that extends through the departments of Alpes-de-Haute-Provence and Alpes-Maritimes, proudly stand side by side. After a day of hiking, you can enjoy the perfectly heated water of the pool. After the swim, relax while tanning in the sun lounge, thinking of all the mountain passes you will have to go through by bike or car: Lausfer pass, Larche pass, Allos pas, Lombarde pass, Cayolle pass, Tende pass, Vars pass, Braus pass, Fenestre pass, Parpaillon pass… In the meantime, let the older kids freshen up after their adventure at Jungle Park and toddlers regain their calm after the excitement of the paddling pool. Ski resorts in winter and rafting in the fabulous gorges of the Verdon in the summer, hiking or mountain biking in the national park of Mercantour in the spring, visits to picturesque villages of the Valley of Ubaye in the fall… Whatever the season, Alpes-de-Haute-Provence is an ideal destination for an active holiday surrounded with nature with your family, your loved one, or with friends. When it comes to natural surroundings, Allos Lake, Vélodrome of Esclangon and the Bonette pass are among the most beautiful natural sites of the Department. Napoleon Route, Lavender Route, Grandes Alpes Route, Contemporary art Route, Route of Villages et Cités de Caractère, Train des Pignes Route.